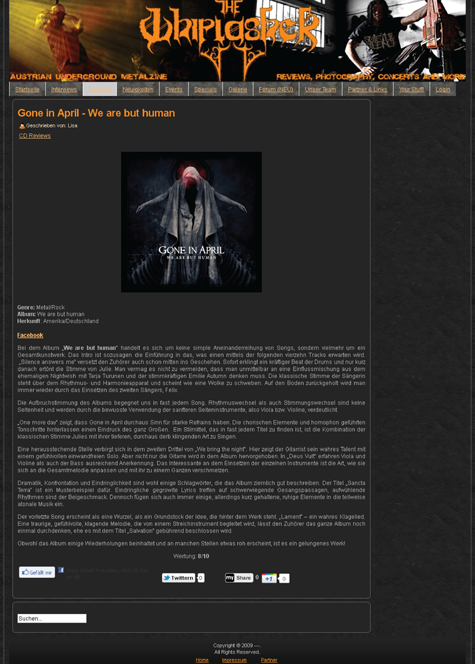 Austrian webzine Whiplasher has reviewed GONE IN APRIL‘s album We Are But Human. The webzine referred to the album as “a work of art”! Yanic played drums and also recorded and mixed the album at WaveTransform studios. The article in German can be found at the Whiplasher site. The English translation is also available.